Thanks to Boldmethod for sharing these real-world flying tips and information. When you're on the ground, it's easy to use the crosswind chart in your POH, or an E6B. But when you're in the air, neither of those options are very practical. Lucky of all of us, there's an easier way. 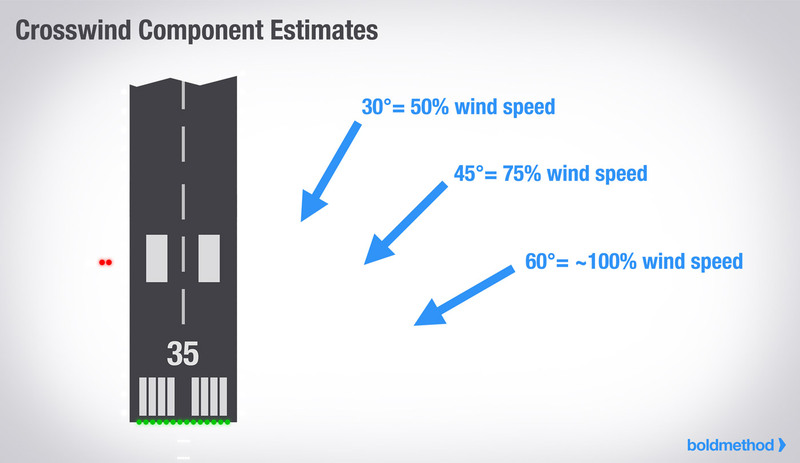 If the wind is 30 degrees off the runway, your crosswind component is about 50% of the wind speed. Obviously, when it comes time to calculate your actual performance, you'll want to pull out your POH. 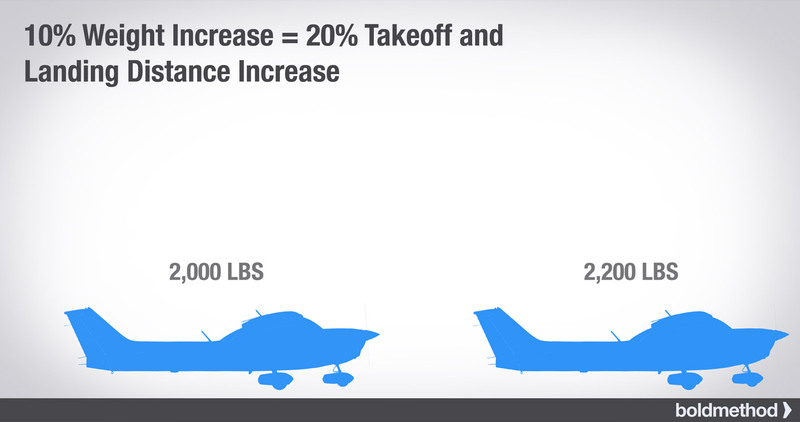 For most normally-aspirated airplanes, you add about 10% of takeoff roll distance for every 1,000' of density altitude (DA). 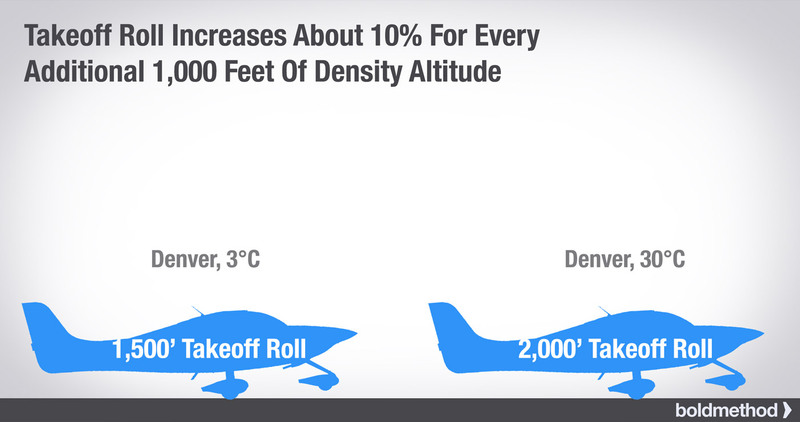 For example, in Denver, with an increase of 3,200' of density altitude, you'd increase your takeoff roll by about 32%. So if you have a 1,500' takeoff roll on a standard day in Denver (3 degrees C), you'll increase that roll to almost 2,000' on a 30C day. 3 degrees is a comfortable descent rate in just about any aircraft. But when you're approaching an airport, how do you know when to start down? 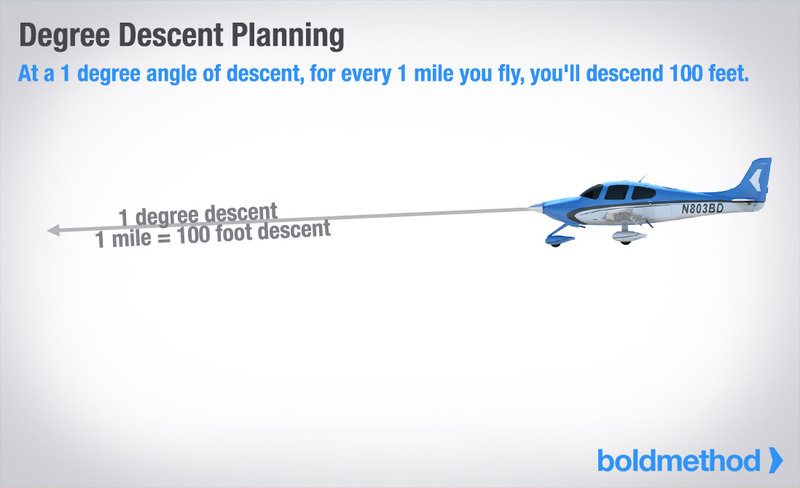 For example, if you're at 11,000', and you need to get down to a pattern altitude of 2,000', you need to descend 9,000'. If you start a 3-degree descent 30 miles out, you'll hit pattern altitude as you reach the airport. Keep in mind, you'll want to add a few miles on to your number, so you hit pattern altitude slightly before you get to the airport. VFR pilots can make good use of the ILS too. Whether it's a dark moonless night, or a long straight-in on a hazy day, following the ILS to your runway keeps you safe from terrain and obstructions (not to mention, you know you're lined up with the right runway). 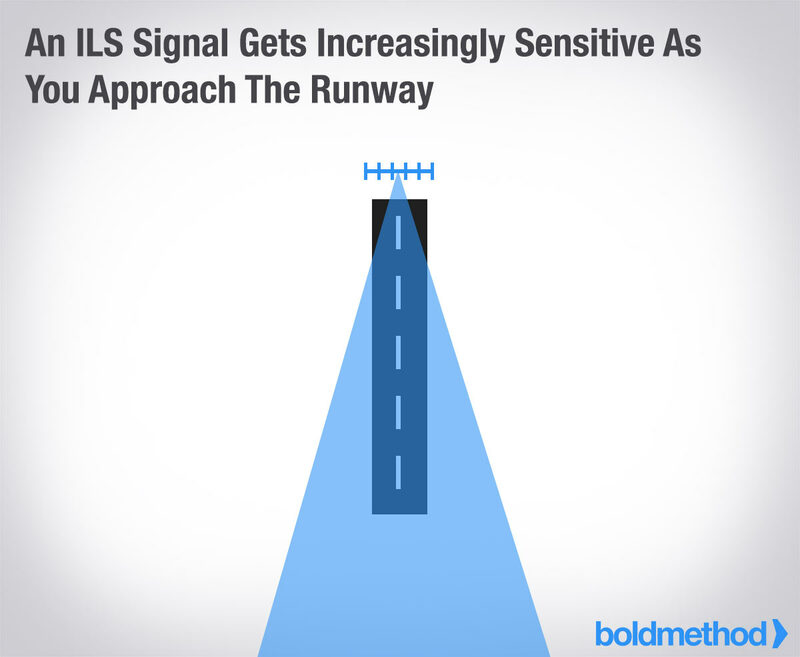 The closer you get to the runway, the more sensitive the signal is. As you cross the threshold, 1/2 dot deflection on the localizer = about 1/2 the runway width. So if you're a half dot off as you approach the runway, you're going to be looking at the runway edge lights.